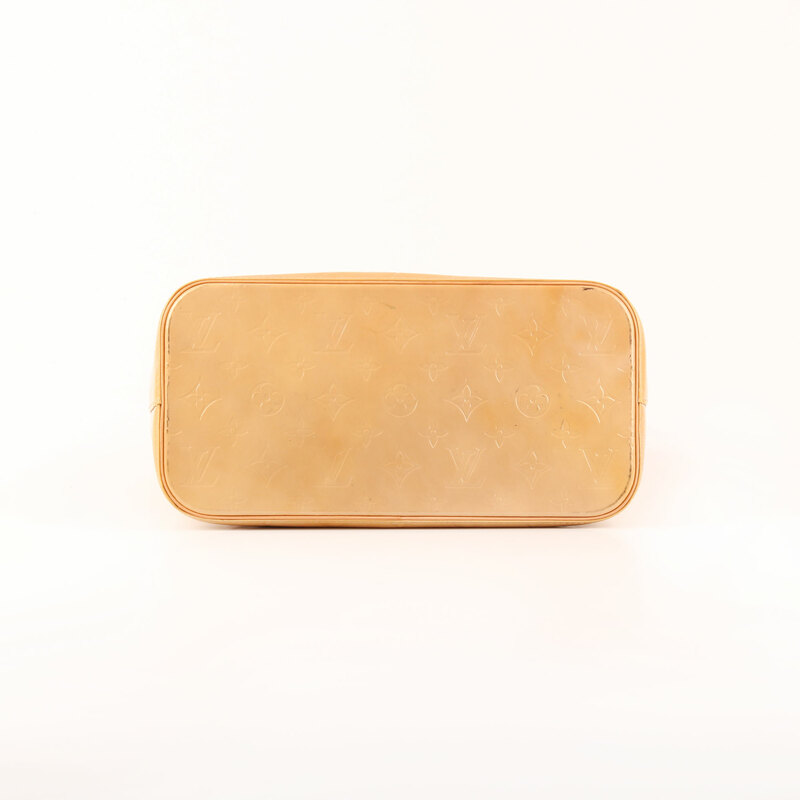 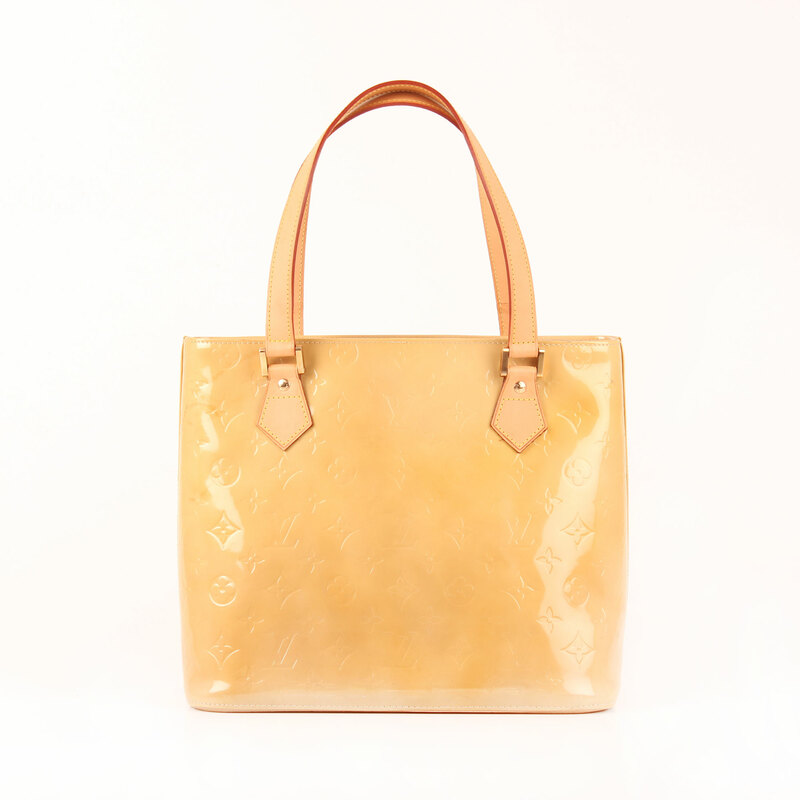 Louis Vuitton Houston Vernis Monogram. Of simple manufacture and rigid structure, this bag has a nice yellow color without being too flashy. 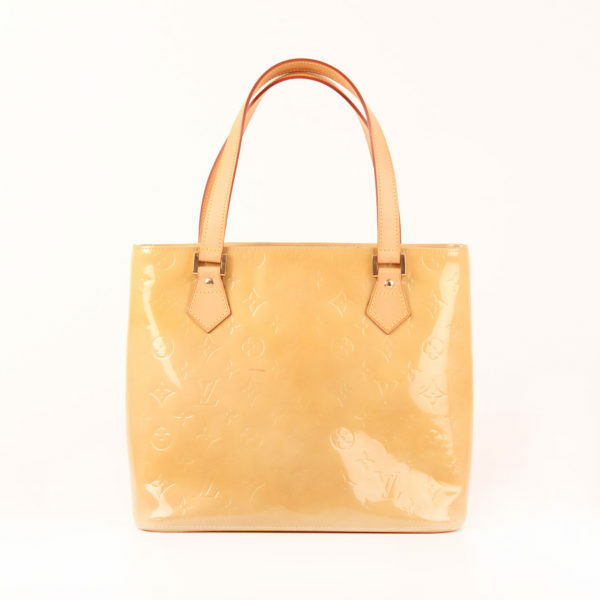 Houston bag in yellow monogram patent leather. This bag has two long handles in natural leather to carry it on your shoulder, gold hardware, zipper close and reinforced base. 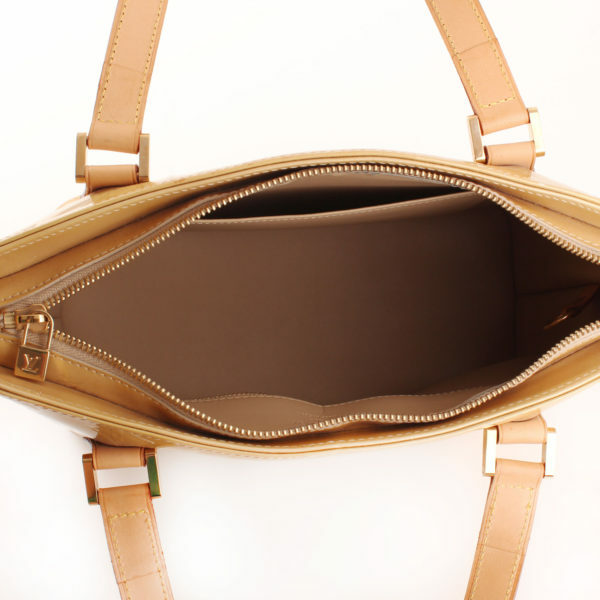 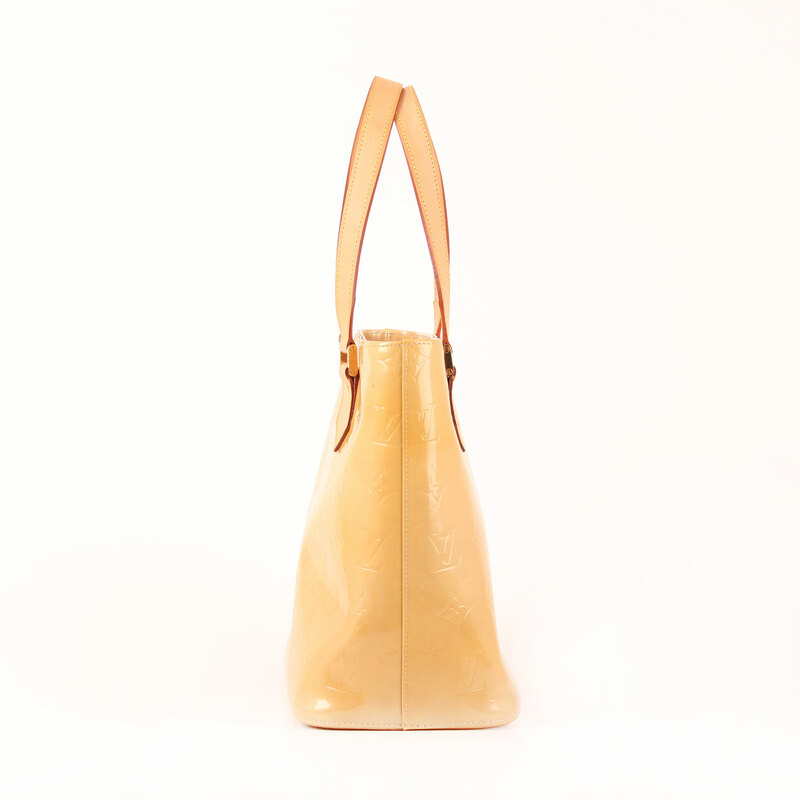 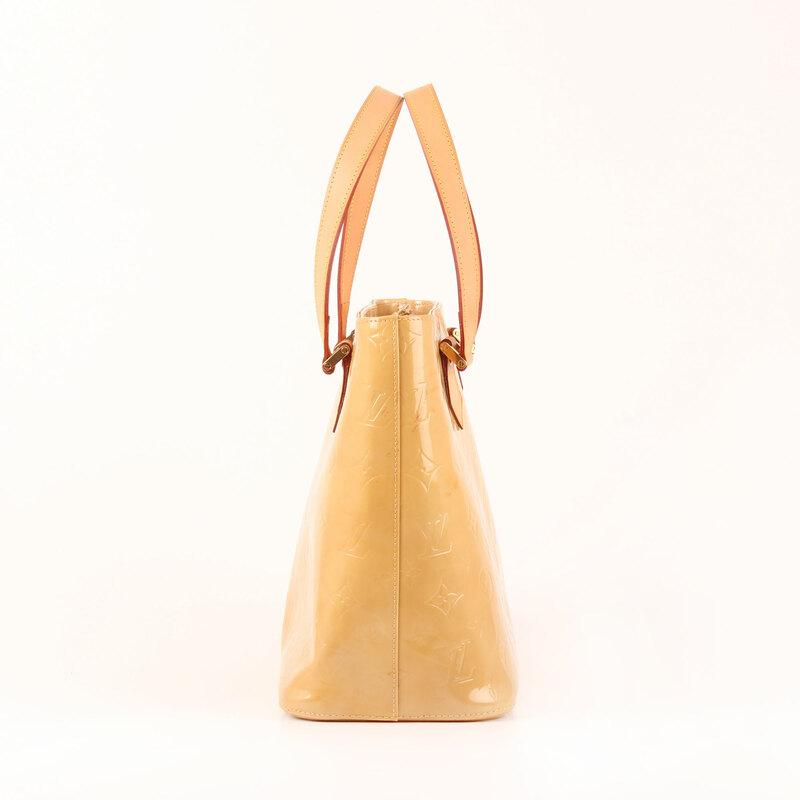 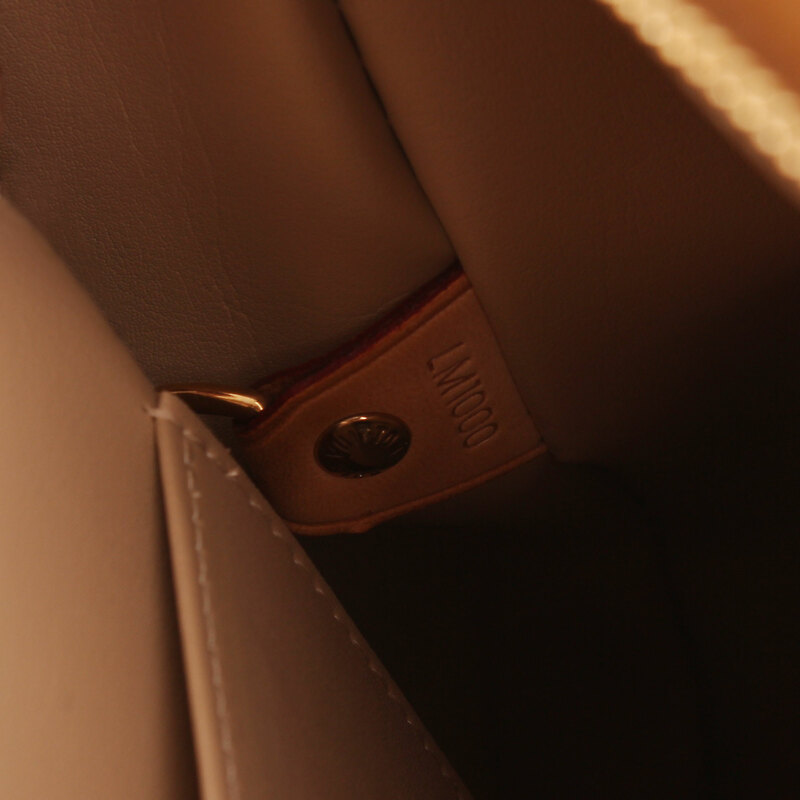 Lining in calfskin beige leather showing two inner pockets, an open one and a zipper close one. Simple and classic model. Details: Some signs of dirty in patent leather. Loss of shape at base. 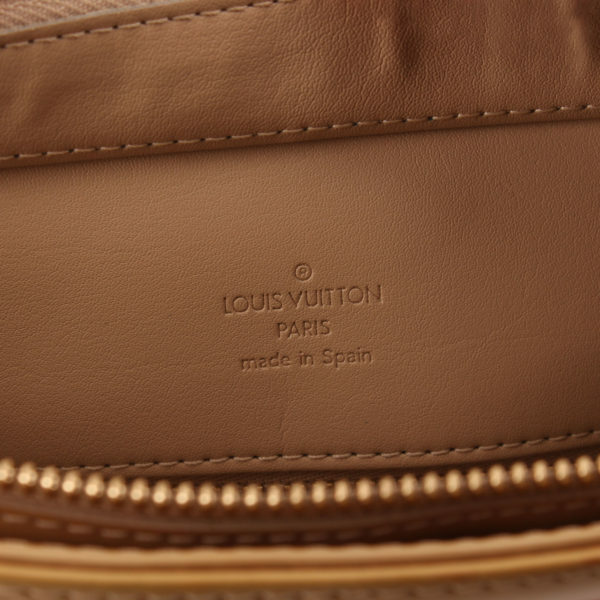 Leather in very good condition.